Soft and silky to touch,amazing Quality !You will received a Flat Contour brush and a Cream Powder Brush and a Pink sponge blender.the brushes set can meet all your professional needs. 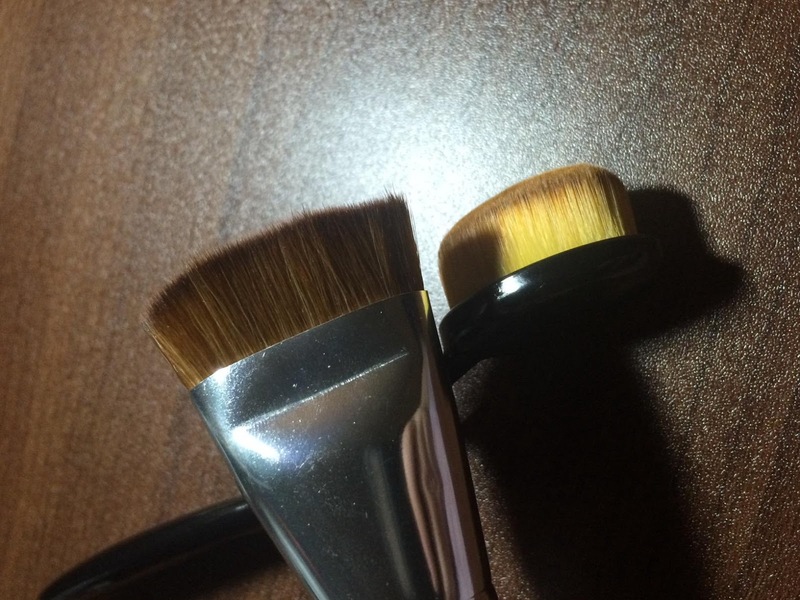 Flat Contour brush：Portable and convenient for daily makeup, beauty your skin well.Both for professional & home users. 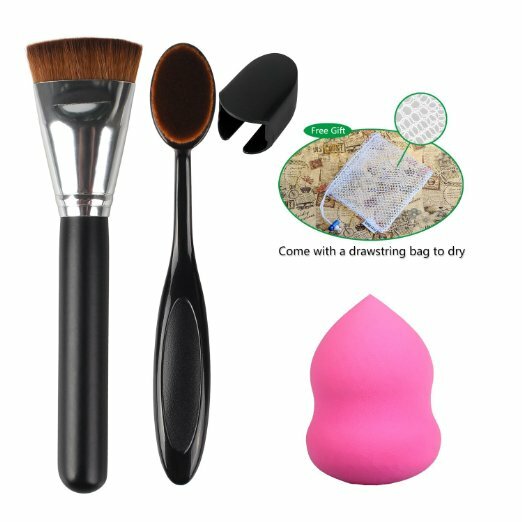 Pink sponge blender：made of latex-fee ,soft and smooth ,when wet expand to double size and even softer,Edge-less design,the rounded end of the sponge is great for blending on the cheeks, use the flat edge around the nose and eyes for contouring, to get an enhanced, beautiful and smooth complexion that appears airbrushed flawless.this sponge covers an array of angles for all your makeup application needs. I have been dying for one of these oval brushes and contour brush. 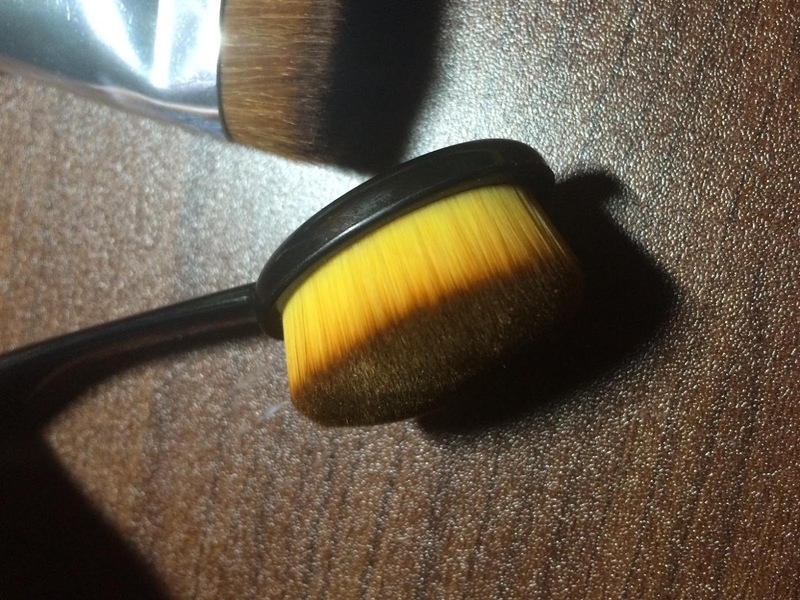 Oval brush: The bristles are well packed and super soft to the touch. I love how dense it is, the bristles are shiny when you first receive it and so far after a couple washes its still just as shiny. 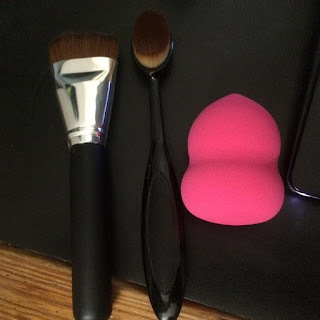 The handle allows for a comfortable grip and feels natural as I apply my makeup. The neck of the brush is super flexible as you apply makeup. It gets into the small spaces around my nose without any issue. I want more of these in different sizes. It has a slight dent on the bottom part of the bristles but it looks like it happened during shipping and I think after a few more washes it will go back to normal. Contour brush: It has a nice matte black handle about the size of a dime. 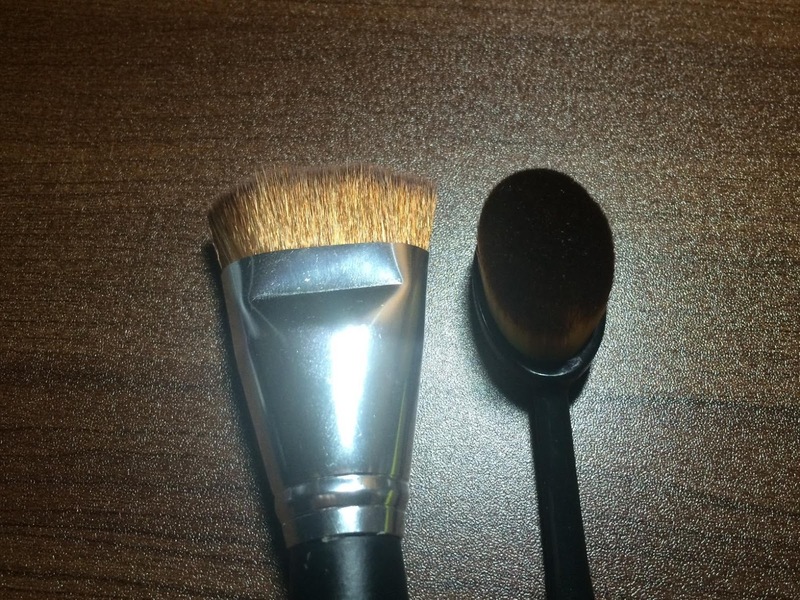 I haven't had any shedding from this brush and I have been using it while practicing my contouring and highlighting. I like how easy it is to apply the products using this instead of a round brush. There are a few bristles that are longer than others but that is easy to fix by clipping them. They have a nice red brown color to the bristles. Its not as well packed as the oval brush but they still have a nice weight of bristles to this brush. The sponge has a nice texture to it. It works pretty well and evenly applies the makeup to my skin. I love using it to apply my liquid foundation. The drying bag has been great and I use it to put all my sponges in when they are drying as I alternate on different days with different sponges.